The Lake District attracts almost 16 million visitors a year, many of whom come to walk, hike and experience the majestic mountains, valleys, villages, towns and of course Lakes. So it is perhaps inevitable that with so many people, there will be times when help is needed, and that’s why the Mountain Rescue Teams across Cumbria are vital. They are an emergency service, dealing with hundreds of incidents a year and yet they’re fully staffed by volunteers and rely on charitable donations to continue their work. In August 2016 the Wasdale rescue team dealt with six emergencies in 12 hours and said they were “shocked” at how many walkers lacked “basic outdoor skills.” In this infographic we take a look at some other startling statistics on rescues across the region. We’ll be giving some sound advice from The Mountain Rescue Teams on how to stay safe and follow the country Code. What do you need to be aware of when walking or hiking and what should you take with you on your journey? We’ll give information on what to wear and how to avoid injury and incident. If the worst happens, and you do need help from one of the 12 rescue teams, we’ll show you how to contact them and make sure that they find you. So read on for some incredibly valuable information. It might just save your life. 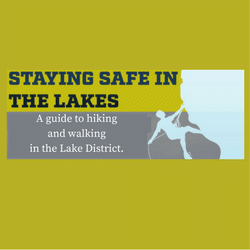 <a href=https://www.craigmanor.co.uk/ safety-in-the-lakes/><img src=https://www.craigmanor.co.uk/wp-content/uploads/2016/09/4.jpg alt=”Safety in the Lakes” width=”450″ /></a><br /><a href=https://www.craigmanor.co.uk/ safety-in-the-lakes//&gtSafety in the Lakes</a> by <a href=https://www.craigmanor.co.uk/>Craig Manor</a>.